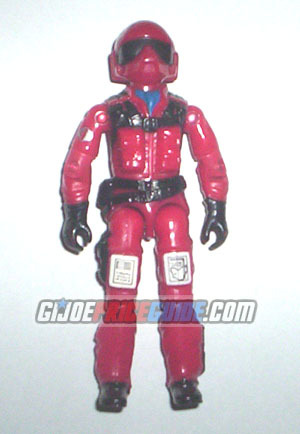 NOTES: Wild Weasel came packaged as the pilot of the Cobra Rattler. The silver cobra symbol on his right arm is often damaged. The "mint on card" price would reflect the price of a figure that is still sealed in a mail order baggie or the original packaging.